"The International Exhibition for the Cosmetics and Beauty Products"
Cosmoprof Asia will host companies representing the entire cosmetics supply chain: raw materials and ingredients, contract manufacturing and private label, machinery, primary and secondary packaging. The beauty salon displays the latest products in the cosmetics industry. All was good, and in order to be better next times, we believe you need to consider inviting more printing services for packing.Should the chance permit, paper accessories for saloons and beauty clinics will be an asset. 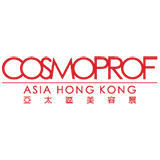 Cosmoprof Asia will display the products of over 1780 trusted brands. There will be, Cosmetics, Skin care products, Toiletries, Fragrances, Organic beauty products, Spa treatments, Specialized equipments and tools, Spa management software, Natural health and beauty products, Hair care products, Hair colors, Styling Products, Furniture, Salon attire, Nail enamels, Pedicure and manicure products, Skin lotions, Lip care, Moisturizers, Foot care lotions.